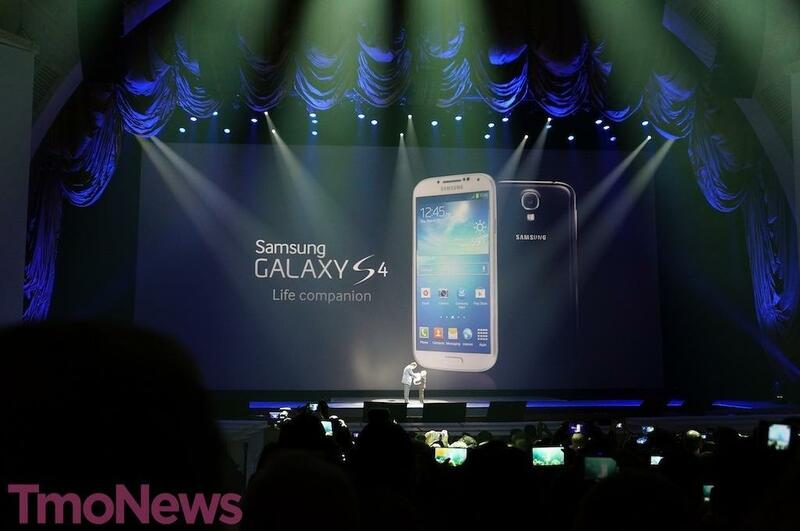 Samsung’s Galaxy S 4 launch this evening was a mix of excitement, Broadway plays and anticipation over “the next big thing.” Given all the hype surrounding tonight, Samsung was fighting an uphill battle to match the same expectations that has brought them countless successes. Still, I think it’s easy to call the Galaxy S 5 more evolutionary than revolutionary as many are jokingly calling it the Galaxy S IIIS, a play on the iPhone 4 and 4S. If you were looking for a whole new form factor, you will be disappointed — but for those of you who wanted Samsung to take something that wasn’t broken and just make it better, you’ll be thrilled. In that regard, Samsung succeeded in a big way. There is little question whether the Galaxy S 4 will undoubtedly be a huge seller and rightfully so. The screen is beautiful, the feature set is just as impressive and the competition is still fighting to catch up. There’s an argument to be made for the HTC One as the more impressive device, but no matter which of the two future top Android devices on T-Mobile you choose, you’ll ultimately end up with two very impressive devices. Without further delay, take a look at the gallery below including images from Samsung’s event and a lot of pictures of the Galaxy S 4 in hand. Unfortunately, some importing issues are delaying video till tomorrow, but rest assured there’s plenty more coverage of the Galaxy S 4 to come. How can you even read text on that child’s play toy? Have you used it? … my guess is no. How long has it been out for T-Mobile USA? Oh yeah it hasn’t. Do I really need to give it a second look when it has the same specs as a 10 month old phone? Obviously not but that doesn’t matter since only entitled pretentious idiots care about style over substance. Why does it matter if it’s ‘officially’ out or not ? I have it, and it’s a T-Mobile variant. Don’t comment on something you don’t own. Please. oh man… Blackberry… it’s like jumping on board a sinking ship lol. I think this is much more innovative than the HTC One. They’re creating software that fully leverages the hardware. Just because you make a smartphone out of metal, put good speakers on it, and put social networking front and center doesn’t make a smartphone special. Giving it software that has the abilities they presented makes it a lot more useful in my opinion, aesthetics shouldn’t be given such priority. Actually, making a phone out of metal, put dual speakers, and add an amp… that’s pretty innovative. Software wise, there are a lot of 3rd party apps that do a great job of “innovation.” HTC/Samsung and other manufacturers just make their own versions and set em on default. Adding stereo speakers on a phone alone is innovation. It may seem like a small thing, but HTC did it when nobody else would. They opted to go with their own 4MP”UltraPixel” camera when everybody else simply pumped more megapixels onto their phones. Whether you admit it or not, HTC taking a chance and going with a different type of camera, not knowing if it’ll be a bust or not.. now THAT is innovation. I’m sure the S4 will be a great phone, but don’t tell me this is innovation lol. If it was, we wouldn’t be calling it the S3S, jokingly or not. im confused by your post. useless gimmicks count as innovation? to me it seems like they took the galaxy s3 to “pimp my ride” and the s4 is what came out. the innovative software you’re talking about includes the camera features that are watered down versions of the htc ones? or do u mean the picture with sound? lol. or the air gesture tech they took from phones released last year? perhaps that useless dual camera picture? exactly what counts as a USEFUL innovation? I completely agree, Craig. I’ll take functionality over form any day. While the HTC One is the sexiest looking smartphone I’ve ever seen, I’ll take the multitude of software innovations present in the S4 over it any day. Besides, I think the S4 is far from ugly. It’s quite the looker itself. At the end of the day, I might take Megan Fox for a test drive, but I’m marrying Kate Winslet. Sam sung, out the windows of his htc, while Verizon, rode by eating an apple, slamming on the corner of at&t to avoid LG Google as they sprint by dashing to the metro. The T-Mobile iPhone is lost in the galaxy of the nexus. Motorola yelled No Kia No Kia ! ! As the FCC paced eagerly with a sharp Razr. The FTC broke up Ma bell and accepted the next tale. In the safari,a wild android appeared in the iPad, sent from an iPod, thru the iTunes Pre. The pixi dust saved the one…..amazed came after the g2, they were no longer sidekicks with the hp. Did multi view make the trip? I was right in my prediction, which was they would make modest upgrades and tweaks to the hardware specs, but the main attraction would be some gimmick. Had no idea what the gimmick was, but think back to last year’s phone bump thing. And sure enough they have a gimmick to sell that they no doubt will be showing off to the crowd at the next iPhone launch. Both the htc one and gs4 are grand slam phones, I couldn’t wait any longer my sensation was acting up. I got note2 . Both phones impressed me but I couldn’t pass a sweet deal on a note2. Sensation was such crap. That thing drove me insane for the year and half I kept it around. So glad to have escaped it. That new texture on the outside is atrocious. I know the phone will sell well, the device as a whole is impressive; but mixing last years texture with some little silver dots was a ridiculous move. None the less Samsung is starting to build a loyal following “almost” as strong Apple. This thing will sell quick. Keep up the great work! Love this site! !